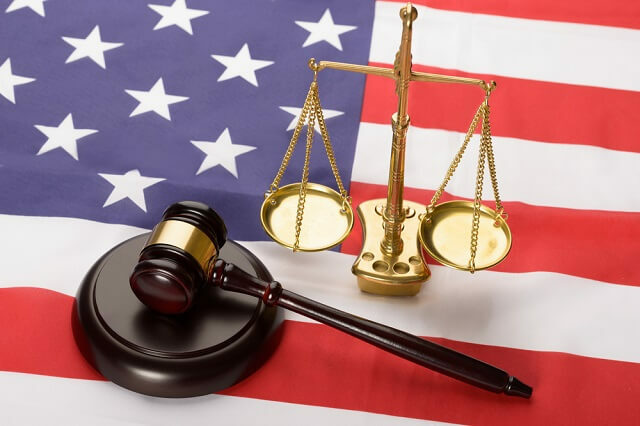 Federal Crime Defense Lawyer - Oberheiden, P.C. How Does Someone Get Charged with a Federal Crime? Investigation. In federal criminal cases, the government is represented by federal prosecutors. Federal prosecutors are organized in 96 U.S. Attorney’s Offices across the United States. Each local office is run by a U.S. Attorney and spearheaded by the Attorney General in Washington D.C. The function of the U.S. Attorney’s Office is to prosecute civil and criminal offenses committed against the United States (28 U.S.C. Sec 547). A federal prosecutor’s authority is broad and goes beyond the authorization of prosecution. For example, a federal prosecutor may investigate suspects or delegate investigations to federal agents of, for example, the FBI, DEA, or OIG. Similar to the role of the police on the state level, federal agents serve as law enforcement officers to assist federal prosecutors in opening a formal case against a suspect or a target. Surveillance. Under certain conditions, the government will apply electronic surveillance. The legality of such “bugs” and “wiretaps” are codified at 18 U.S.C. Sect 2510. Because electronic surveillance intrudes into the privacy of a defendant, the government is subjected to a conservative policy on its use. Under no circumstances are interceptions through video surveillance, roving taps, bugs, or wiretaps common practice in the ordinary case. The Department’s sparse use stems from the fact that surveillance touches a defendant’s Fourth Amendment rights, which in turn, require compelling reasons to infringe. As a consequence, each use requires the approval of a senior lawyer at the Department of Justice prior to asking a court to grant the prosecution’s surveillance request. Indictment. If the prosecutor decides to prosecute, he or she will do so by filing a criminal complaint with the federal court in the prosecutor’s district. In that complaint, the prosecutor will request an indictment from the grand jury. An indictment is a formal charge or accusation of a serious crime. This charge is typically voted on by a Grand Jury after witnesses testify and the prosecutor presents relevant evidence. However, in some states a lower court judge or a magistrate decides if enough evidence has been presented to support the charge. An indictment is not a verdict guilty or innocent. Rather, it is a formal charge on the probability of the defendant having committed the crime. Information. In noncapital offenses, a defendant may waive the right to a grand jury indictment and allow prosecution by information. By contrast to an indictment, an information is a formal accusation of having committed a federal offense that is presented by a public officer in lieu of a grand jury. If an arrest warrant is sought, the information must contain an affidavit. Rule 9(a) Federal Rules of Criminal Procedure. The attorneys of the Oberheiden, P.C. have handled hundreds and hundreds of federal cases in federal courts across the country.